London, 26 March 2008 – The UK problem gambling charity GamCare and eCommerce and Online Gambling Regulation and Assurance (eCOGRA) pooled their expertise in London last week to train almost 40 online casino managers on the principles of responsible gambling, and how to identify and handle problem gamblers. Management delegates travelled from their bases around the world to attend the two day intensive training course, which featured lectures, case history studies and interactive training exercises supervised by expert GamCare officials Andrew Poole and Amy Webster. The course covered all aspects of responsible gambling and the now well established principles for handling this important management function which eCOGRA ‘Safe and Fair’ sealed gambling venues are required to use. Former UK Gaming Board Chief Inspector, GamCare Trustee and eCOGRA Independent Director Bill GalstonOBE welcomed delegates to the course, stressing the critical importance of a coherent and professional responsible gambling program at online gambling establishments. “For both humanitarian and ethical reasons – and to correct adverse misperceptions by some – a comprehensive responsible gambling policy is a critical investment for any online gambling operation,” he said. “eCOGRA has made huge strides in this area in developing a set of best practice requirements for online gambling operations, and this third course on the subject will coach managers in how to apply these tools. “On this course we are especially pleased to also welcome experienced managers from major companies that are members of the European Gaming and Betting Association, adding to the pool of experience that makes these occasions such a valuable two-way exchange of knowledge,” he said. Andrew Poole, managing director of GamCare’s Trade Services Limited company conducted a thorough review and explanation of the eCOGRA responsible gambling requirements and standards, describing them as both comprehensive and practical. “This course will give you sufficient information and insight to set up a solid responsible gambling program at your companies if you have not already done so,” he said, stressing the need for training and making responsible gambling a part of the corporate culture. 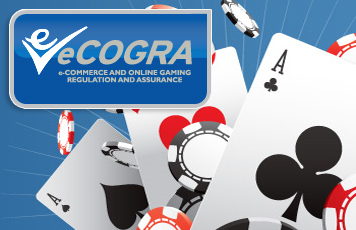 The eCOGRA standards provide minimum requirements in respect of warnings and options regarding problem gambling, self exclusion and control mechanisms for gamblers, and promotional and advertising best practices in this area. GamCare’s Amy Webster conducted much of the training, which included expert tuition on the prevention of underage gambling, the psychology of problem gamblers, how to identify compulsive players and the best way to handle cases of this nature. eCOGRA CEO Andrew Beveridge wound up the course by addressing delegates: “I believe I can safely say that this course is the best we have held to date, not only in terms of expert tuition from our colleagues at GamCare, but also due to the commitment and experience which delegates have generously shared throughout. “Responsible gambling is an absolutely essential operational element and I am confident that you return to your companies motivated and with the right tools to ensure that a quality responsible gambling policy is constantly reviewed and refreshed. For more information, go to www.ecogra.org.